Google’s unofficial motto has long been the simple phrase “don’t be evil.” But that’s over, according to the code of conduct that Google distributes to its employees. The phrase was removed sometime in late April or early May, archives hosted by the Wayback Machine show. “Don’t be evil” has been part of the company’s corporate code of conduct since 2000. 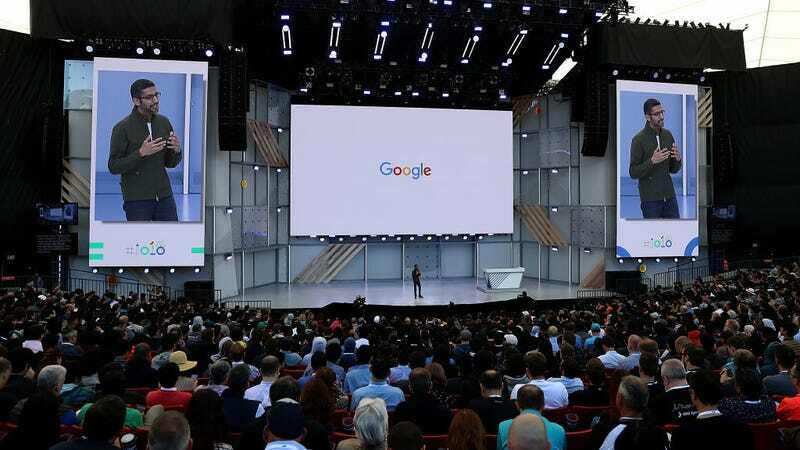 When Google was reorganized under a new parent company, Alphabet, in 2015, Alphabet assumed a slightly adjusted version of the motto, “do the right thing.” However, Google retained its original “don’t be evil” language until the past several weeks. The phrase has been deeply incorporated into Google’s company culture—so much so that a version of the phrase has served as the wifi password on the shuttles that Google uses to ferry its employees to its Mountain View headquarters, sources told Gizmodo. “Don’t be evil.” Googlers generally apply those words to how we serve our users. But “Don’t be evil” is much more than that. Yes, it’s about providing our users unbiased access to information, focusing on their needs and giving them the best products and services that we can. But it’s also about doing the right thing more generally – following the law, acting honorably, and treating co-workers with courtesy and respect. The Google Code of Conduct is one of the ways we put “Don’t be evil” into practice. It’s built around the recognition that everything we do in connection with our work at Google will be, and should be, measured against the highest possible standards of ethical business conduct. We set the bar that high for practical as well as aspirational reasons: Our commitment to the highest standards helps us hire great people, build great products, and attract loyal users. Trust and mutual respect among employees and users are the foundation of our success, and they are something we need to earn every day. So please do read the Code, and follow both its spirit and letter, always bearing in mind that each of us has a personal responsibility to incorporate, and to encourage other Googlers to incorporate, the principles of the Code into our work. And if you have a question or ever think that one of your fellow Googlers or the company as a whole may be falling short of our commitment, don’t be silent. We want – and need – to hear from you. The Google Code of Conduct is one of the ways we put Google’s values into practice. It’s built around the recognition that everything we do in connection with our work at Google will be, and should be, measured against the highest possible standards of ethical business conduct. We set the bar that high for practical as well as aspirational reasons: Our commitment to the highest standards helps us hire great people, build great products, and attract loyal users. Respect for our users, for the opportunity, and for each other are foundational to our success, and are something we need to support every day. So please do read the Code and Google’s values, and follow both in spirit and letter, always bearing in mind that each of us has a personal responsibility to incorporate, and to encourage other Googlers to incorporate, the principles of the Code and values into our work. And if you have a question or ever think that one of your fellow Googlers or the company as a whole may be falling short of our commitment, don’t be silent. We want – and need – to hear from you. Despite this significant change, Google’s code of conduct says it has not been updated since April 5, 2018. We’ve reached out to Google for comment on this change and will update this story if we hear back. Is YouTube Music Already Doomed?